Here we see the first installation to feature our Toggle Switch Hub which interfaces the classic LP-style 3-way switch to our Cycfi Active Series pickups. 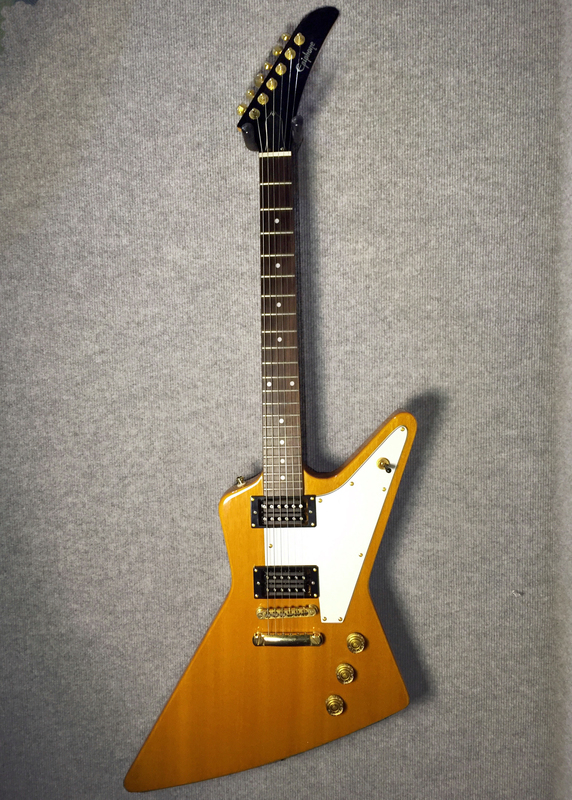 The guitar in question is an Epiphone Explorer in classic amber tinted Korina (white limba). Technology has finally caught up with the Explorer’s futuristic design resulting in a perfect marriage with our XR series pickups. 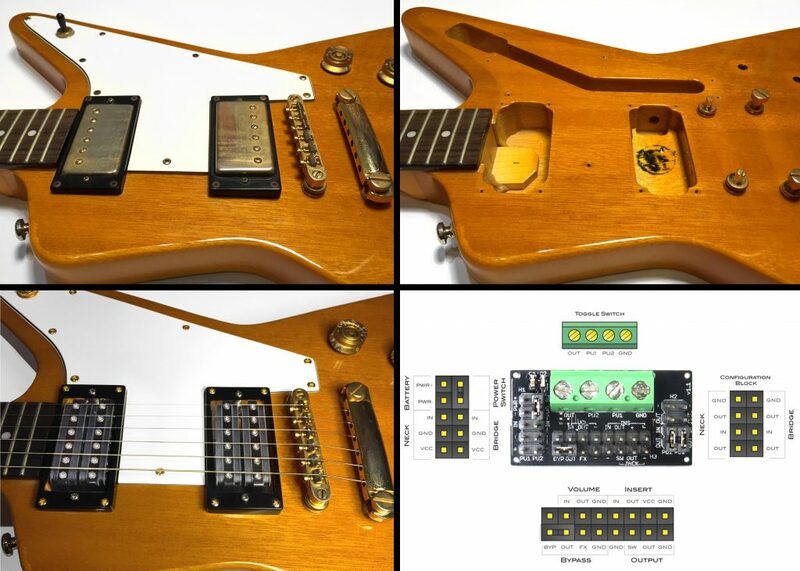 The completed Explorer featuring (2) Cycfi Active Quad pickups, volume control and Resonant Filter. The installation was a straightforward affair. The Explorer’s 3-knob configuration was a great match for the single volume + Resonant Filter configuration desired by the owner. The pickups are Cycfi Quad Active 6’s (featuring on-board preamps). The volume control sits in the forward most knob position, with the Resonant Filter’s frequency-sweep control in the middle and Q (or resonance) control in the rear most spot. Some stages of the installation, showing the original passive PAF’s, stripped down body and finally the completed Cycfi system. The lower right depicts the Toggle Switch Hub and pinout detail. Learn more about the Toggle Switch Hub here with our detailed tutorial. The tutorial will walk you step-by-step through the solderless installation of a Cycfi pickup system in a 3-way toggle equipped instrument.